Posted on June 12, 2018 June 13, 2018 Categories A good mentor worth their weight in gold, change your life forever, control your destiny, Does visualization work, free book, law of attraction, like-attracts-like, make your own vision board, make-good-things-happen, Want inTags aspirations, create, elizabeth rider, free ressource, free work book, goals, oprah winfrey, rex sikes, settle for nothing less, the-life-you-wantLeave a comment on Bored or Board! – What are you visualizing? I think it is amazing how much support there is out there for whatever you need or want in life. I would like to think though, although I do not have much to offer, what I do have, I happily give to all who ask. I like to see myself as a mentor on a mission helping my fellow humans out who need help – who am I not to? JK Rowling “Help will always be given at Hogwarts to those who deserve it” A great book and Film and an inspirational Author. As much as I love this speech by “Dumbledore”, I would like to challenge this. Whilst I believe help should be given to those who deserve it, there are times in our life where maybe we didn’t deserve help or support yet we still received it. Sometimes sadly people do not always get the help and support they need. We need more advocates. Are you an advocate? There is something so uniquely beautifully and transforming about “Grace”, receiving and giving. I recently read a post that reminded me about the star fish when it comes to helping people. Some ask why do you do it? what difference can you make? It can be hard to lose heart or maybe feel taken advantage of. Do we just close up shop, go in on ourselves, decide never to help another out? or do we rise above it and get stronger. For those that have never come across the starfish, I believe there may be slightly different versions about these days.. but the essence remains. Enjoy a bit of free inspiration! Make a difference to just one person! Support me/ Partner with me: Get in touch! I) Do you have money making, money saving tips you can pass on? II) Do you have website skills or SEO tips? III) Do you know how to design? IV) Are you an expert in passive income, e -commerce, marketing and branding? V) Do you know of any free resources or offer any yourself. 100 money making side hustles and business ideas. I am on a mission to be a millionaire. It sounds crazy and I am nowhere there, however may be one day I may be. Until then, I would like to share a friends website with you, as I cannot take any credit for it. I then made it my mission to begin to look at ways to earn, save and help others in my situation. If you visit Fed up of being poor blog you can see my journey as I hope it can help some one. This is a fantastic resource if you are looking at getting out debt, earning some money or want to save. My site is about offering gold nuggets resources. This author is worth her weight in gold and more so please do visit and support her and encourage her as she helps so many others. I hope this resource can help others. Thank you for visiting, please feel free to comment, like or follow me for more of my life resources that I have found valuable on my missions. Chief Happiness Officer of Fed Up Of Being Poor Blog – Make money save money, help others, reduce poverty. Author of Life style Blog Refiners Way – Restoring balance to body mind and spirit. Posted on June 3, 2018 June 10, 2018 Categories 100 ways to make money, A good mentor worth their weight in gold, choose to not give up, control your destiny, make your dreams come true, mission millionaire, what is your dreamTags help others, mentor, money making, postaday, postaweek, resource, side hustles, www.fedupofbeingpoor.com, www.frompenniestopounds.comLeave a comment on 100 money making side hustles and business ideas. Do you believe in fate, or destiny, the universe/cosmos, A Deity or God? Do you believe your destiny is already in play? I would really like to know if this is real, is this “a thing” is this any different from trying to be positive and visualization. I cannot tell you how visualization works , but in my life I have experienced this come to fruition, cars, houses jobs, money needed. I would be lying if I said this has worked straight away, it could take weeks, months or even years in my case, occasionally it has been instantaneous, so does this make it circumstantial, or coincidence, did i somehow force the result I wanted. Do we make our own luck? I am not a marketeer or promoter, I am life questioner. I like to know if something is real or not real – fact or fiction. I would like to invite others to share with me their thoughts and experiences on “The Law of Attraction” as a piece of market research. Is this something you have experience or knowledge? Using a little known biological breakthrough in the Law of Attraction known as your “Intention Point”. “One thing I noticed is that you tend to put yourself last, and other people first. I mean, self sacrifice means you care, right? Well, not really. For a long time, people have associated self sacrifice with “doing what’s right.” This is not how you achieve your dreams, or help others. Instead you build a never ending “to do” list filled with other people’s expectations, never living a life that truly matters! You need to understand your true value as a human, not as a resource. Realize YES – I DO deserve to get what I want! A simple shift in self worth is all it takes. And I’m confident it will all turn around soon. If this is indeed real or true – I want in as I feel the possibilities are endless. If this is a resource that is of any value to you, then, then like all of my resources check it out and make up your own mind. I would like this to work and if you have read blogs on refinersway or fed up of being poor you would understand why this is important to me personally. Please let me know your thoughts… come, follow, comment. I have no financial interest or investment in any sales of any products within as I am more interested in the theory philosophy and science, so I cannot comment on the legitimacy or effectiveness of what is on sale. Posted on June 2, 2018 June 9, 2018 Categories Attraction quiz, change your life forever, control your destiny, Does visualization work, law of attraction, what is manifestationTags abundance, alignment, destiny, fate, freedom, God, intention point, manifestation, postaweekLeave a comment on ATTRACTION LAW – REALLY? Inspired by Refiners Way Post as a fan and advocate of the “Pay it forward” philosophy, I could not help but look into this more and encourage others to do the same. I am fed up of hearing how bad the world is, how bad society is – let’s split the winners from the whiners by making a difference. I am sure with more research more ways can be found. Like many I review on “TRIP ADVISOR” and “GOOGLE” as a “GOOGLE GUIDE” offering GREAT REVIEWS of places I have been attracting lots of views which I do FOR FREE. I also check out other peoples blogs websites… so if you would like an AMAZING ENCOURAGING REVIEW FOR FREE, please get in touch, I would love to hear from you. Follow me in trying to make this a better world for us NOW TODAY honoring those who came before us, and let us be pioneers, life influencers for our next generation. Disclaimer: I am not affiliated to Amazon and do not get any commission from any links or sales…..(maybe one day) The picture and link is for reference only. Hi, Thanks for dropping by, how are you? I was recently touched by a video that is travelling around Face book. It reminded me of my post I wrote “memories” at Refiners way. Thoughts and Prayers for Joey Daley and the family. With dementia now getting people at a younger age I begin to think how important our memories and our mind is so I wrote this a reminder to myself and to others out there to remember how precious life is. Invest your time with folk. – Time is short. Take more photos or videos- you can never take enough photos. Look through photos – You will be amazed at what you may have forgotten. Look at old memory sticks or buy new memory sticks. Make scrap books – Record your memories for prosperity. 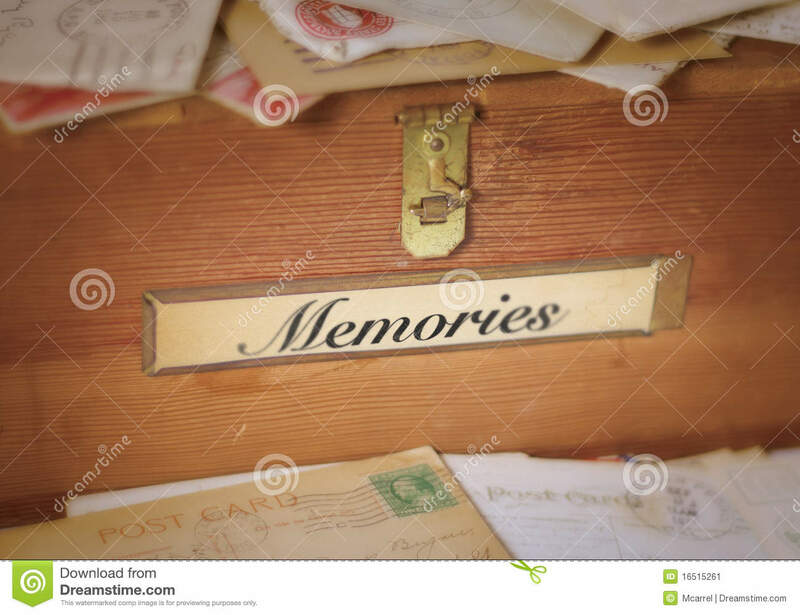 Keep a memory box – A small box that can kept to remind you of times gone by. Live for moments.. Moments are precious. Tell those who matter that you love them – Tell them more! Thanks for visiting, good to see you here. Feel free to comment or follow. If you knew a secret, would you tell or share? If some one offered you some TOP TIPS FOR A BLISSFUL LIFE, would you snap this up? Who does not want a blissful life? I was quite excited to discover some of these INSIDER TIPS which I think are superb and I am sharing them. I am always on the hunt for insider tips to make my life better. I thought this worth a read. Are you blissfully happy? If you can’t answer, “YES!” then why? Maybe your career isn’t as fulfilling as you’d hoped it would be, but you’re not sure it’s possible to make money doing what you enjoy. Maybe you keep saying you’re going to lose that last 10 pounds, (or 20 pounds, or more) but you can’t bring yourself to eat well or exercise consistently. Maybe you have conflicting feelings about alcohol, but you buy into the myth that you can’t help yourself. Perhaps you know that there’s something bigger and better out there for you, but you aren’t sure how to make lasting change. When we treat every chance we have to change our lives for the better as, “Eh, just another moment in time,” We are throwing away all of our chances. Life is nothing but a series of moments. Each moment is a chance to start shining. Here’s your chance. I hope you enjoy this resource. Please come visit again. follow, like comment!